NeoPixel & Conductive Fabric Capacitive Sensor #WearableWednesday « Adafruit Industries – Makers, hackers, artists, designers and engineers! Vines are so lovely, I wish I could embed them. 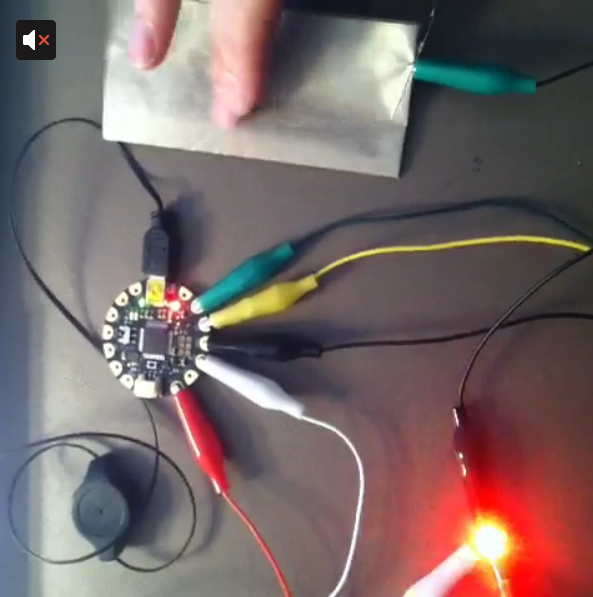 Shimo made one depicting conductive fabric as a capacitive sensor, lighting up a Flora NeoPixel.